Google Search for Android updated today to include new features and settings in Google Now for devices running Android 4.1+. 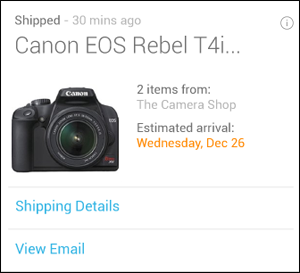 Package tracking has been improved and now updates in real time (new card below), search results should appear much faster (tough to test that), and individual cards now have an info button (i) that when pressed, gives you quick settings for that particular card. 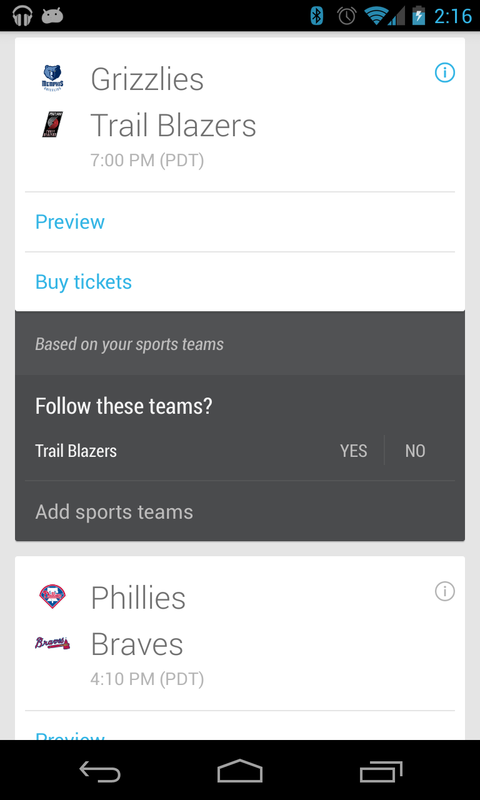 For example, I pressed the (i) on my card for tonight’s Blazers game and it asked to make sure that I cared about this event. Tapping “yes” should help Now to continue to be accurate. The update is live now, so go get it! Update: Google also completely re-organized the Settings menu for the better. 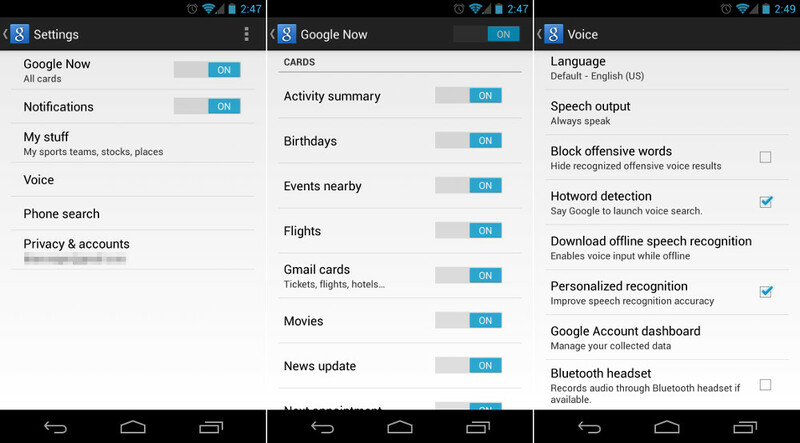 Google Now cards are all in their own separate spot now with On-Off toggles. There is a section for “My Stuff” that has been pulled out on its own, which displays your favorite teams, stocks, and places. Last, there is a simple On-Off toggle for notifications. 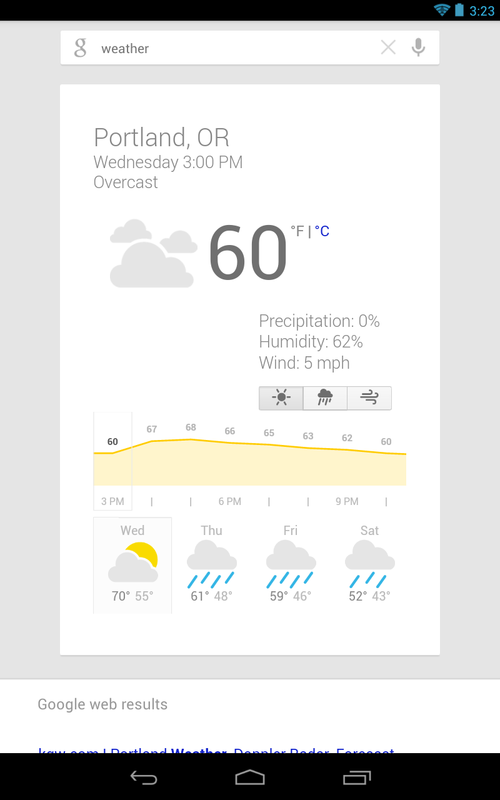 Update 2: The weather card with the hourly slider and extra tools has returned! Update 3: Here is a quick video comparison of the new Google Search that was released today versus the previous version. Search results definitely display quite differently, but in a good way. I’m also not sure that the “faster search results” claim is correct. In these quick and unofficial tests, I actually show the old version posting up results first. 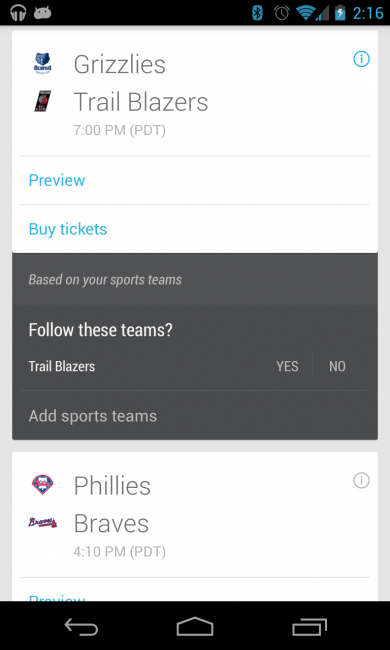 Our running list of Google Now cards has been updated.